The Ellison family was well known in Vernon, as their father served as a provincial MLA, and as Minister of Finance and Agriculture. Before his career as a politician, he worked as a blacksmith and farmer. His sons were living on the family farm when they enlisted. 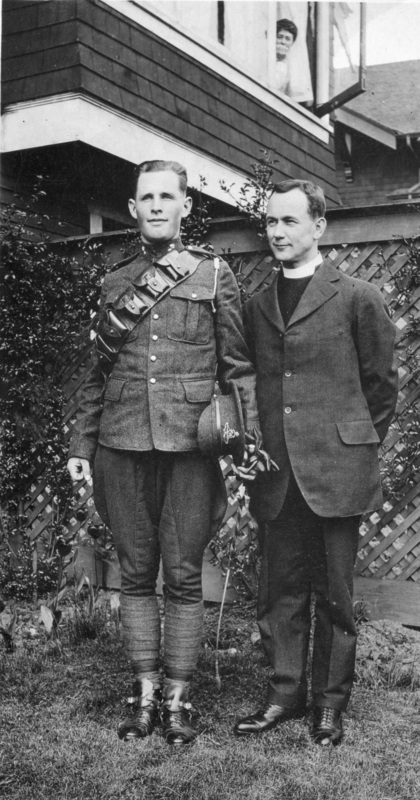 Price F. Ellison, the eldest son, joined the Canadian Mounted Rifles in 1915, and his two younger brothers Albert and Vernon enlisted together in 1917, although they seem to have been assigned to duties in England rather than France. The bulk of the letters are from Price F., who fought in France and ended his military career with the Canadian Machine Gun Corps. Letters from Price F., Vernon, Herbert and Albert Ellison of Vernon, B.C., to their mother Mrs. Price Ellison, and their sisters Elizabeth and Ellen.